Investment for creative people and rebels: Juicy returns with LEGO! For many people, investing money is about as attractive as visiting a dentist – unpleasant, but necessary. This lecture is perfect for you if you are looking for a creative way to broaden your portfolio or position yourself completely differently from the masses, in addition to the well-known investment opportunities such as real estate, shares or investments. Toy Investing is ideal for the small investor who wants to invest a few hundred euros a month sensibly, but also for the ambitious hunter of returns. In the age of digital currency like Bitcoin, Ethereum and Co. you are looking for a solid, crisis-proof investment opportunity? The return on gold is not high enough for you – or you simply don’t feel like putting your financial well-being in the hands of opaque bank advisors, new economy companies or fund managers? You don’t have the drive or the time to familiarize yourself with the complex and dry topics of the financial markets – and wish you a chance to invest your money with fun, passion and fantastic returns? 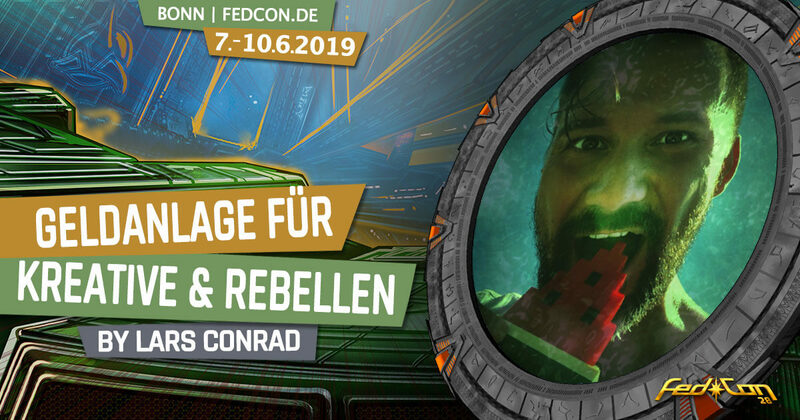 Then you shouldn’t miss this live presentation on the FedCon! Lars Conrad explains to you how it is possible to achieve a higher return with LEGO® than with gold and have a lot of fun at the same time. Without any theory gibberish! You’ll get practical advice for practical use! Lars Conrad is series entrepreneur, author, podcaster and many known as "the Toy Investor". It makes the topic finances, investment and net yield tasty to those, who felt rejected of it so far rather. Lars is the No. 1 Podcaster to the topic LEGO® and Toy Investments in the entire German-speaking countries. He has already taught thousands how to invest and multiply their money on their own responsibility and above all with fun and passion. His specialty is LEGO® as an investment. With his live experiment "Project 100", he regularly competes with LEGO® Investments against conventional financial investments such as shares or commodities, and with his LEGO® Depot, for example, last year exceeded the returns on shares of global corporations such as Apple, Tesla or Coca-Cola many times over. On February 14, 2019 his newest book will be released: KLOTZKÖPFE! A character, price and collection guide for LEGO® BrickHeadz.